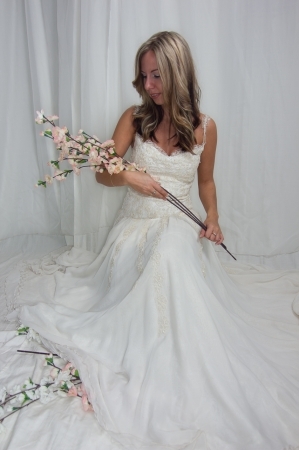 We can make your wedding dreams come true! 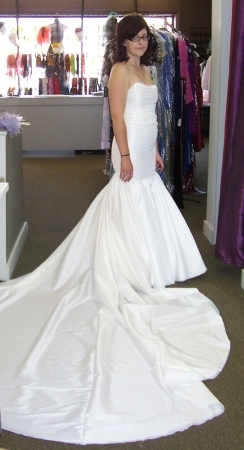 Whether you’re looking for a custom design wedding dress, re-working Mom or Grandma’s old dress or altering a store bought dress, The Whole Nine Yards is here to help you. 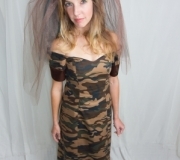 You really CAN have the stress-free wedding! 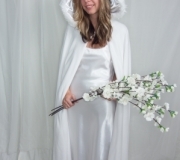 Bridesmaids & Mothers of the Wedding are welcome & we provide all the same services for them too! 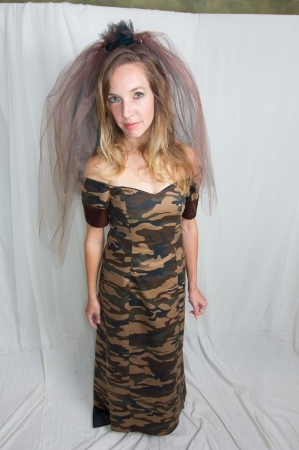 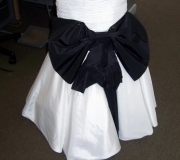 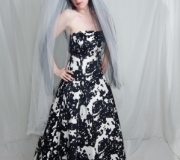 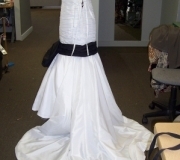 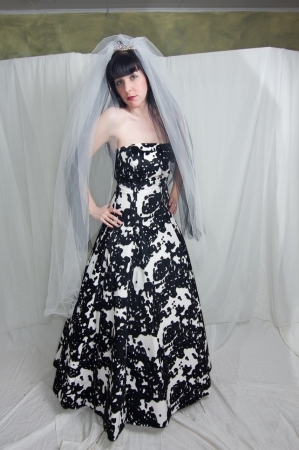 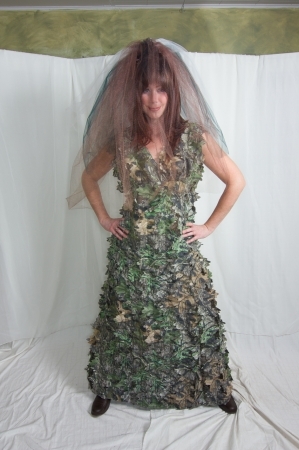 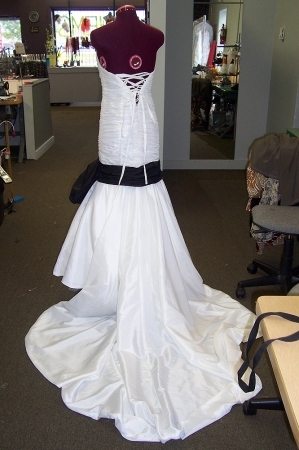 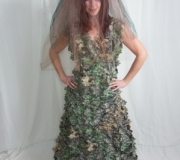 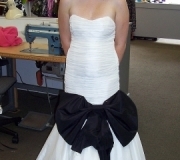 We can create your theme wedding gown from Camouflage, Goth to Fairy Princess! 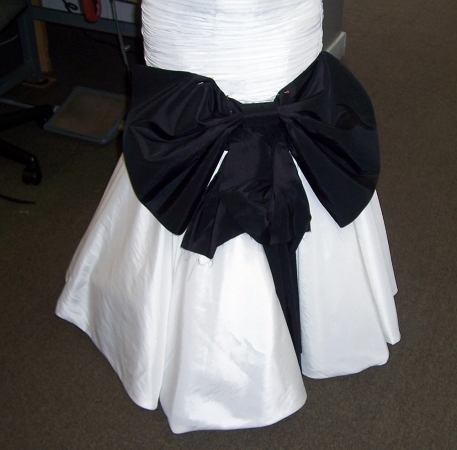 We can make your fantasy gown, refabricate your Mom’s gown to work for you or just alter your store bought gown so it fits just right. 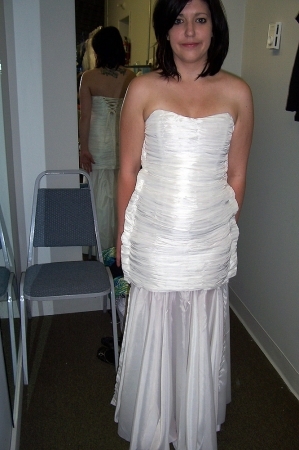 Just bought the dream dress but it doesn’t quite fit just so?? 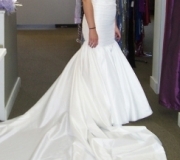 What to do, what to do??? 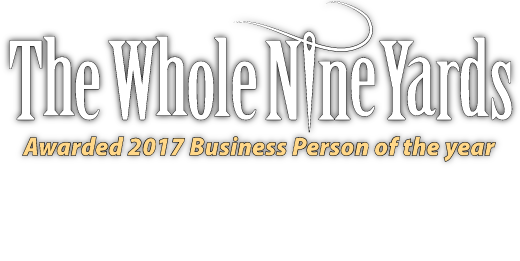 Come to The Whole Nine Yards and we can fit you! 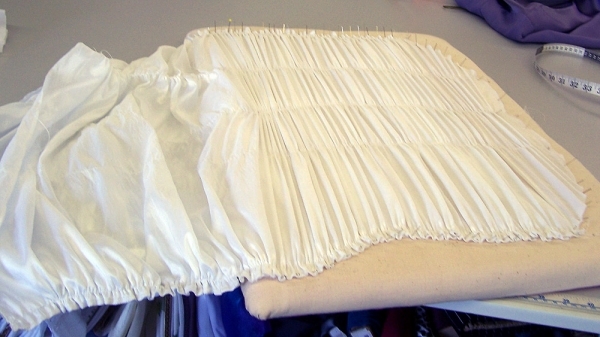 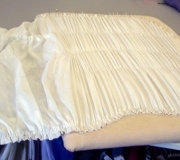 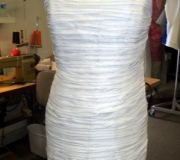 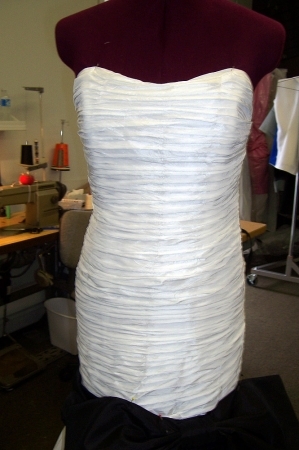 We can do everything from minor alterations to major changes to the garment. 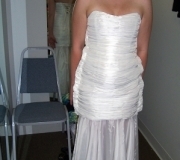 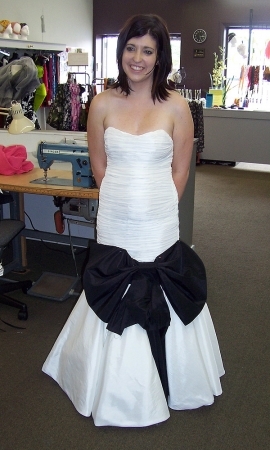 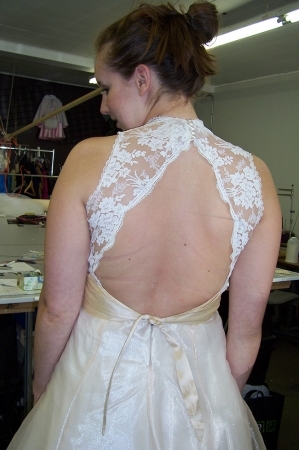 We started with her Grandmother’s wedding dress and then modified it for the bride.